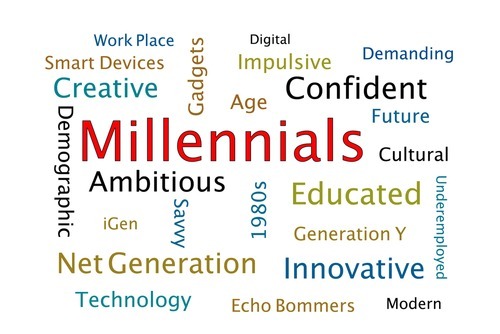 Egnaging millennials should be a priority of every manager and employer. Photo courtesy of Shutterstock. The reason many employers struggle to recruit, retain, and engage millennials is because they don’t focus on educating and training managers on how to better engage with millennials. In fact, a Gallup Poll titled Millennials: The job-hopping generation, found that 29% of millennials are engaged at work, 16% are actively disengaged, and 55% are not engaged. That should be troubling for employers. After all, according to Pew Research Center analysis of the U.S. Census Bureau data, more than one-in-three American workers today are millennials (adults ages 18 to 34 in 2015). And in 2015 millennials surpassed Generation X (born between 1965 and 1984) to become the largest share of the American workforce.